Tunes at Twilight is a FREE concert series open to the public every Thursday from 6-8pm, May 5th - July 21st at the Sun Inn Courtyard in Historic Bethlehem, PA. This free, family-friendly event brings 900-1200 music lovers to each concert! Bring a blanket or lawn chairs to enjoy the show comfortably and don't forget to wear your dancing shoes! The "Tunes Bar" will be back again this year, serving up wine and beer brought to you by our sponsor Allentown Beverage! 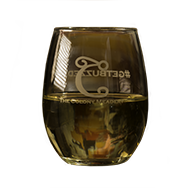 This year The Colony Meadery's award winning Meads will also be featured at the "Tunes Bar". This exciting addition to the festivities will "bee" sure to delight our Tunes at Twilight fans. While visiting Historic Downtown Bethlehem, grab a bite at one of our outstanding Downtown restaurants. (P.S. Some even offer delivery!) Don't want to miss any of the music? Then check out what's cooking at the Sun Inn Preservation Association concession stand. Thank you to our 2016 Tunes Sponsors! Come join us each Thursday and be sure to visit our Allentown and Bethlehem locations for tasting, tours, and mead sales throughout the week. Oh, and we also now ship nationwide. Yep, it's true.